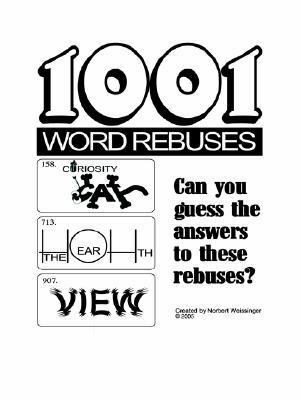 1001 Word Rebuses is a collection of puzzles based on an old theme: the word rebus. A word rebus is a mixture of text and graphics that contains a hidden word, phrase, or idiom. Word rebuses have been popular for hundreds of years and a TV game show was even based on them. This book contains enough rebuses to keep young and old entertained for many hours.Weissinger, Norbert is the author of '1001 Word Rebuses ', published 2005 under ISBN 9781420871333 and ISBN 1420871331. Loading marketplace prices 90 copies from $13.62 How does the rental process work?